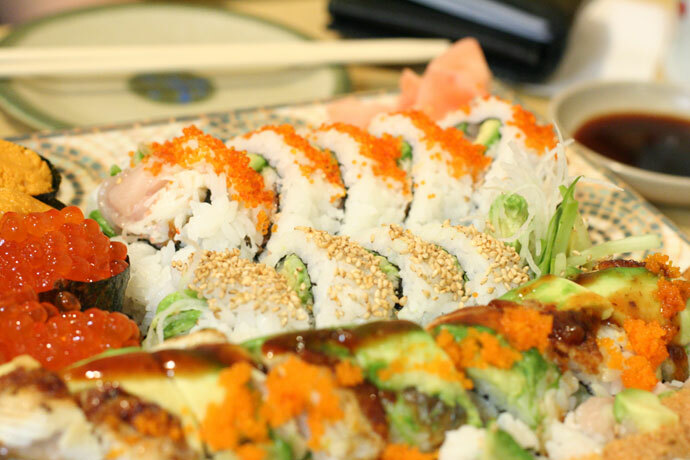 Asakusa Sushi (map, visitor reviews, 4729 Kingsway, Burnaby, BC, Canada, phone: 604-436-5505) is a hole-in-the-wall Japanese restaurant across from Metrotown mall that is the favorite of some true sushi aficionados. 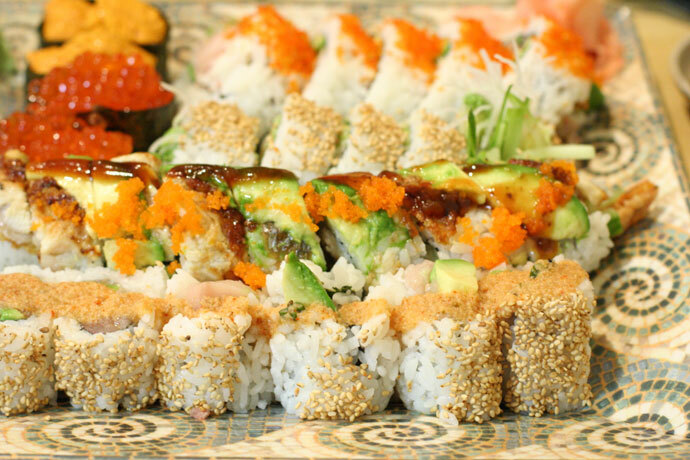 They may not have the best sushi ever but they have the best affordable sushi in town. Some people probably prefer Sushi Garden to this one but not me. One of my favourites. 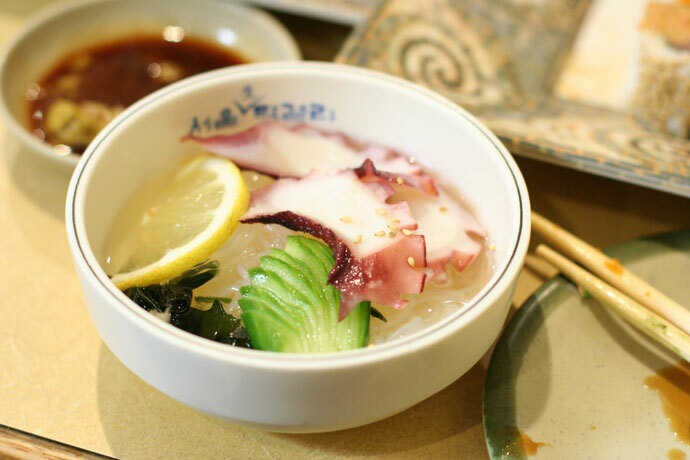 I visited on a friend’s recommendation and I was impressed by the generosity of the portions, especially the Sashimi for One Person, which was gigantic and good quality ($12, pictured below). Other dishes we ate are also pictured below. I’ll definitely visit Asakusa again soon. 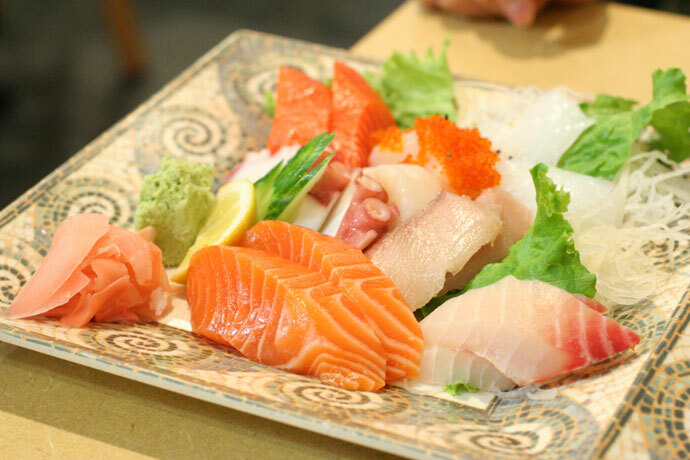 More sushi from Asakusa Japanese Restaurant near Metrotown. 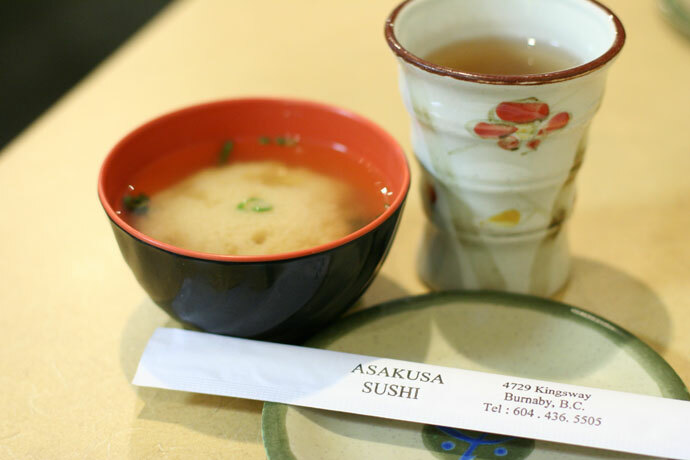 Miso soup ($1.00) and tea from Asakusa Japanese restaurant in Burnaby, BC, Canada. We hope you enjoy the great Metrotown restaurants on Dine Out Here Vancouver.